Dear International Officer, Welcome and congratulations on your new role! It is of great importance that Member Organisations have a strong and functional structure for international cooperation. This ensures a maintained quality of participation and better results for both OBESSU and the member organisation. There are many different ways to create this structure, none which would suit all member organisations owing to the many differences between organisationsâ&#x20AC;&#x2122; sizes, capacities and focus on international affairs. The most important thing, however, is flexibility of the structure, and shaping it to suit your own organisation. Some organisations have an international officer, some have a board member responsible for international work and others have a team of people working on international work, such as a working group for OBESSU. With this document, we would like to smoothen the introduction to your new function and suggest how to make the transition as simple as possible. Moreover, if you want to learn more about OBESSU, the ways of participating and about your possible future tasks, we share with you some short explanatory videos to watch as well as some documents to read, especially before statutory events. Last but not least, we explain what our expectations of an international officer are and what should you expect from our side. 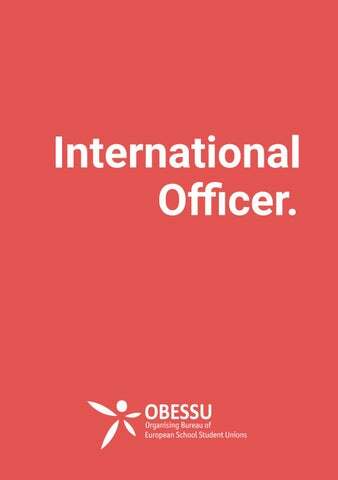 As International Officer you are the main contact point between your organisation and OBESSU. 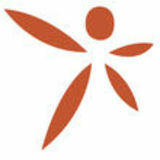 OBESSU is its member organisations, so it is crucial that you partake in or delegate others to participate in all aspects of the work of OBESSU. Without your input, we cannot be a truly representative body and the work of the board and the secretariat might be less effective. t do you need to know s a successful IO? If you do not know how to use basecamp, we suggest you watch these videos: How to use basecamp for discussion? How do you make basecamp a tool to share information? How do you manage your notifications? If you are still unsure, let us know and we can talk to you. If you prefer, a handy way of using Basecamp is by using the app. Using this means you never miss out on any updates from the OBESSU world. You are also very welcome to email or call us directly. You can find our contact details on our website. Each organisation has a contact board member, who will schedule check in calls or emails with you every now and then. We will tell you who your contact board member is and or if the board member changes. Basecamp, through consultations or in person. To find out more, watch a short video. Are you an international officer who is leaving the post? Handover! Make sure that before you leave your post, you update the new international officer and help them prepare for the role. Let us know (you, your organisation or the new officer) that there has been a change so we can update our mailing lists and contact list on basecamp and we will share the IO welcome pack with the new person.